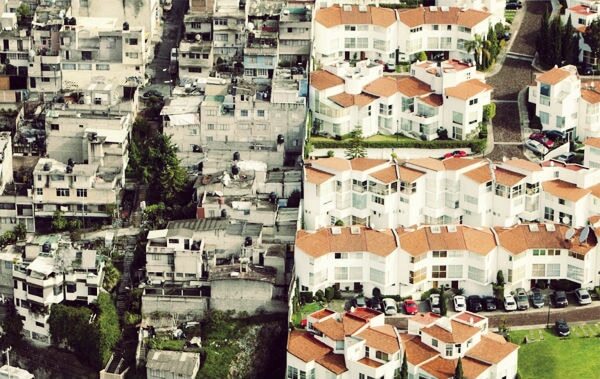 An aerial photo essay someone posted on Facebook portrays the juxtaposition of wealth and poverty in Mexico. 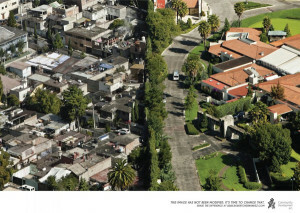 The title of the essay is, These Shocking Unaltered Aerial Photos Reveal the Unjust Division of Wealth in Mexico. 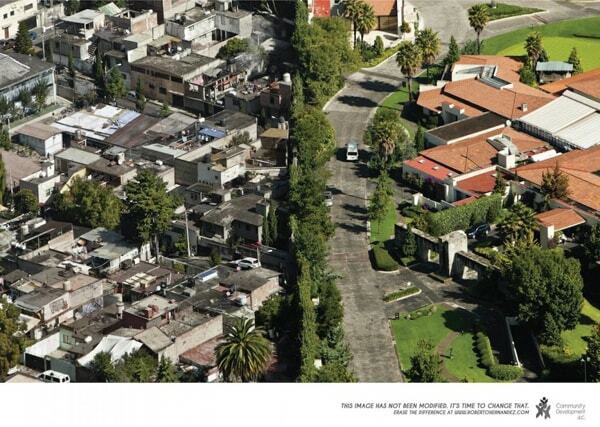 You can see it here, Division of Wealth in Mexico. The photos are real and the problem is real but is the problem the division or wealth or something else? Collectivism, central planning, a burdensome tyrannical tax system, the central bank, fiat money, the burden of bureaucratic administrative law and corruption cause this. I live here and live with this nonsense; this dogma that the state must do something about the economy. All of this is driven by the doctrine that the problem is distribution, i.e. the unjust division of wealth. The state and all it is “doing” to “fix” the problem of distribution is the cause. The problem is not distribution but production. A truly free market governed but the just laws of God will solve it. The government’s policies and the bureaucracies it creates plus the regulations that result from that have created tremendous barriers to competition and entry into the market by new businesses. It is very difficult for families to start productive businesses because everything is regulated, taxed and licensed, all in the name of fixing the alleged problem of division of wealth. It’s like looking through the wrong end of a telescope. The current administration, especially in our state of Puebla, is abusing eminent domain to confiscate property and favor certain businesses and corporations. Eminent domain is a violation of the 8th commandment, thou shalt not steal. Stealing a family’s property to build an industrial park that will house an Audi plant to “create jobs” to fix the problem of division of wealth is still stealing. It is also wrongheaded; the wealth always ends up accumulating in the hands of the politicians and insiders. This God is judging, a better explanation of what is in the photo essay than division of wealth. This is not unusual. 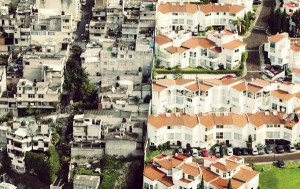 In another part of Mexico a politician confiscated land from local farmers and built a big, showy school, a housing project, and a building for small business. What do the farmers say about this savior politician? They curse him. He is now well placed in the power structures of national politics. The myths of the politics of guilt and envy perpetuate the system. The covetous poor believe the myths and keep voting for the same government policies that enslave them. Myth: Mexicans don’t save so we must have social security to force them to save and take care of those who don’t contribute. Truth: Mexicans are smart productive people given an opportunity. After all, they manage to survive in this horrible system and are in demand even as illegal workers north of the border. They don’t save because 1. There is nothing left to save after taxes and inflated prices and 2. The promise that the messianic government will take care of you is an incentive not to save. Mexico’s government is running out of OPM and thinks the solution is to go steal some more. The goose that lays the golden egg has no feathers. The government stole them. In the name of just division of wealth the government passed a law requiring employees to begin paying into a pension fund for their employees after they have been with the company for so many years. Business people here are smarter than GM, they know how to stay away from the pension plan trap. They fire their older workers before they incur the pension obligation. Upper level managers are often foreigners who are paid from outside the country. The lower level folks are talented young people, few of whom will make it past 40 in a responsible, well-paying position. Result: gifted, experienced folks who made a good living find themselves without a job and not able to get one at the level of their training and experience at the age of 38 to 40. Another pervasive myth that permeates the Mexican worldview is salvation by education. People are in terror of not getting an education validated by the state. But because of policies like the pension policy mentioned above professional careers are short lived. I’d guess on average a talented young person fresh out of the state approved university system might have a productive career of 15 to 20 years before being put out to pasture. When it happens they often are not ready because they bought the myth of the good life and financed it with debt. They can make the payments while employed but when they find themselves on the outside it disappears into thin air. What the photographs do not show is the movement of people from one side of the fence to the other. Not all poor people stay poor and not all rich people stay rich. However, due to the nature of the system, the movement from rich to poor is greater than from poor to rich. It might be more accurate to say upper middle class to nearly begging. It is not that uncommon for a former executive to be reduced to working all day just to put food on the table for that day with nothing left for tomorrow. His wife, who once managed a house with help, is reduced to selling homemade Popsicles on the street. She is still an honorable Proverbs 31 woman, just reduced to poverty. The policy makers who do the damage never have to face the consequences of their decisions. They are the elite. By the time the chickens come home to roost they are out of office living on a fat pension funded by the productive people they took to the cleaners. They are serious about one thing: maintaining their power and the wealth that comes with it. They are not interested in the unjust division of wealth in Mexico. How serious are they? I was discussing this photo essay with a young friend here on Facebook. He told me the story about the farmers who lost their land and named names. In the middle of the conversation he wrote, “Roger, I´ve just been advised not to talk truths on Facebook, cuz it could not be good.” “How not good?” I asked. Not good as in the names named could come hunting you with malice aforethought. Pray for Mexico. Pray against her enemies within, that God may bring judgment against them soon. He who loves God hates evil. 83:17 May they be humiliated and continually terrified! May they die in shame! 83:18 Then they will know that you alone are the Lord, the sovereign king over all the earth.